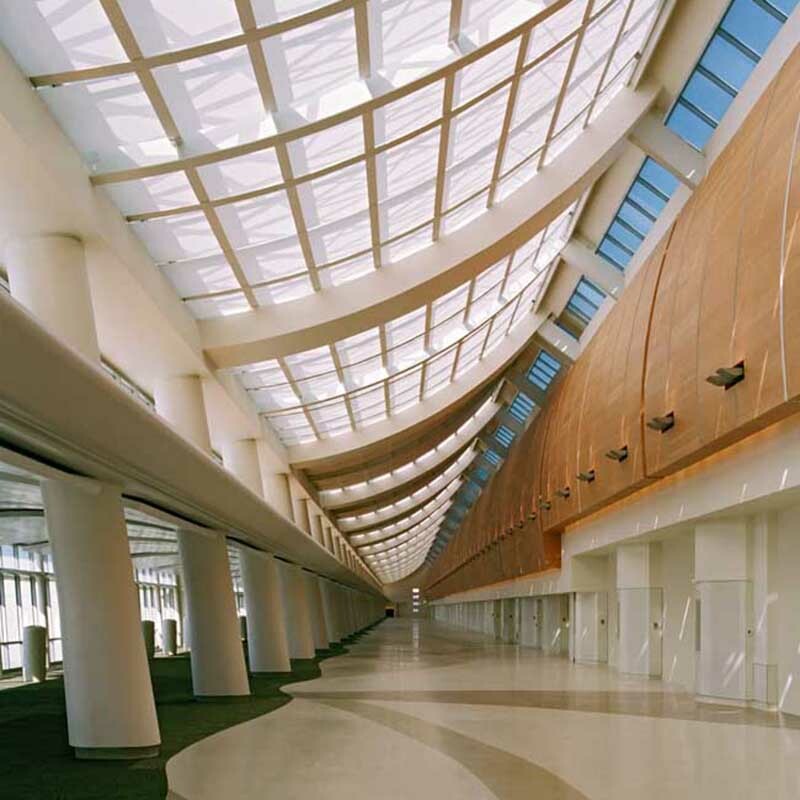 Gilbane/DMJM provided Construction Management services for Phase I of the Norman Y. Mineta San Jose International Airport. The project encompassed the North Concourse Building which features a new two-level, 388,000 SF terminal facility building. 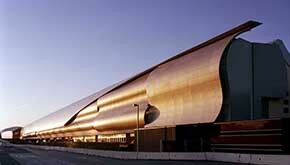 The new highly-sustainable building houses state-of-the-art gates operated by Southwest and Hawaiian Airlines, baggage handling and technology advanced inspection facilities along with federal offices. 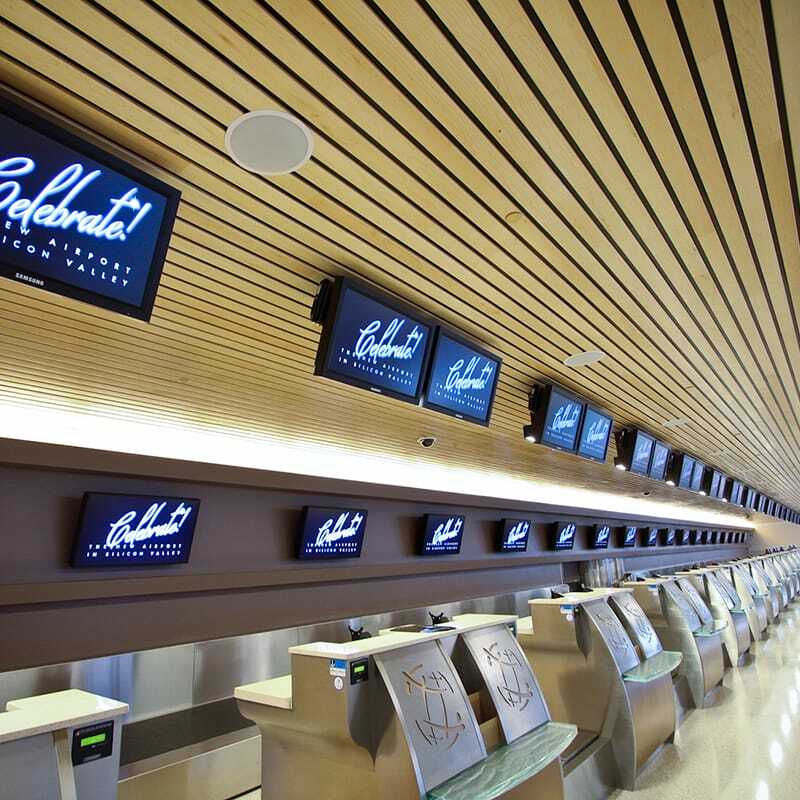 The gate terminals feature high end finishes throughout with open café seating, elegant wine bars, retail stores, private seating areas with wi-fi and electrical outlets to accommodate the mass of Silicon Valley commuters. Art installations that reflect the local community are featured throughout the terminal to provide a museum quality element where visitors can relax and spend time before flights. The project included relocations and upgrades of the site infrastructure; deep excavations with extensive dewatering; driven precast piles; heavy structural concrete foundation; 5K tons of structural steel; 1k tons of misc. metal; extensive curtain wall and glazed roofing system; high level of interior finishes; multiple types of roofing systems; single ply, metal and glazed roofing systems; 1 freight elevator and 2 passenger elevators; high performance mechanical and electrical systems that helped achieve LEED Silver certification and state of the art IT. Gilbane worked with ClickSafety to introduce an Online Safety Orientation program including coverage of our safety requirements as well as the Foreign Object Damage (FOD) program already active at SJIA. Trades were then able to review site requirements before arriving at the jobsite trailer. At the project’s completion, the North Concourse system would log over 13,800 observations and was rated 98.4 percent safe.